We are an Eco-school and we take our responsibities to reduce our consumption of paper very seriously. To help us reduce our paper use - why not sign up to receive your letters by email? You will be helping the environment by reducing the amount of paper and ink that we use as well as helping to save the school money that can be used to buy resources. 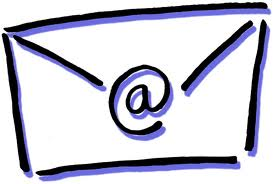 Please sign up to receive communications by email - contact Mrs Lewis-Davies, the school administrator.